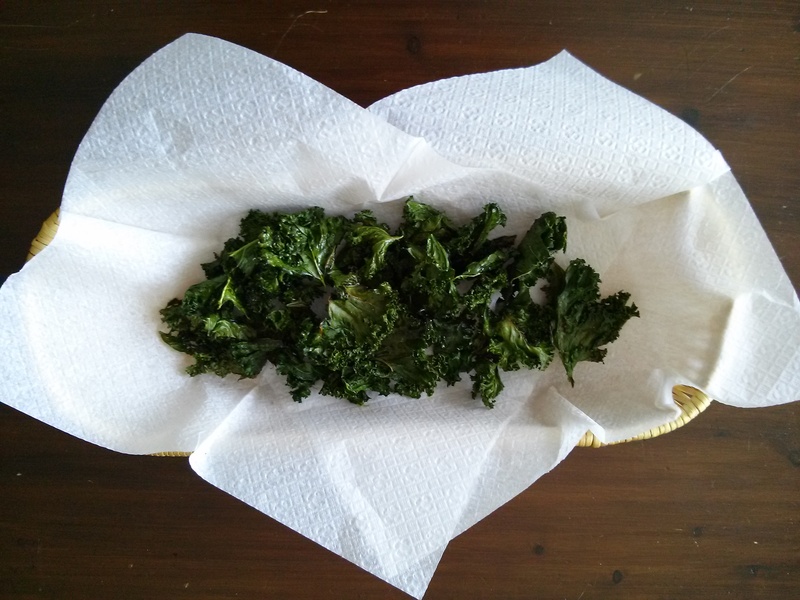 Save yourself a few dollars by making your own kale chips! This popular snack is becoming a mainstream product at more than your local health food store. 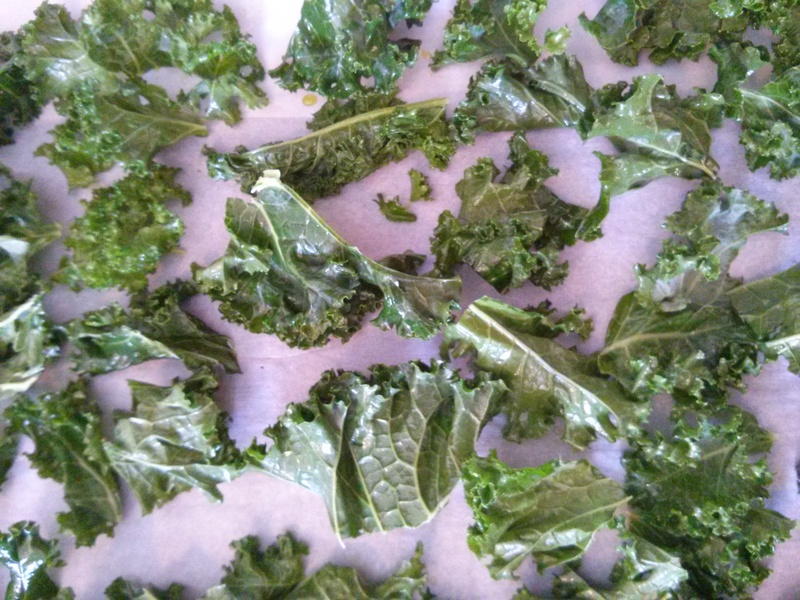 Remove the ribs from the kale and cut into approximately 1 inch pieces (some may be smaller and that is ok). 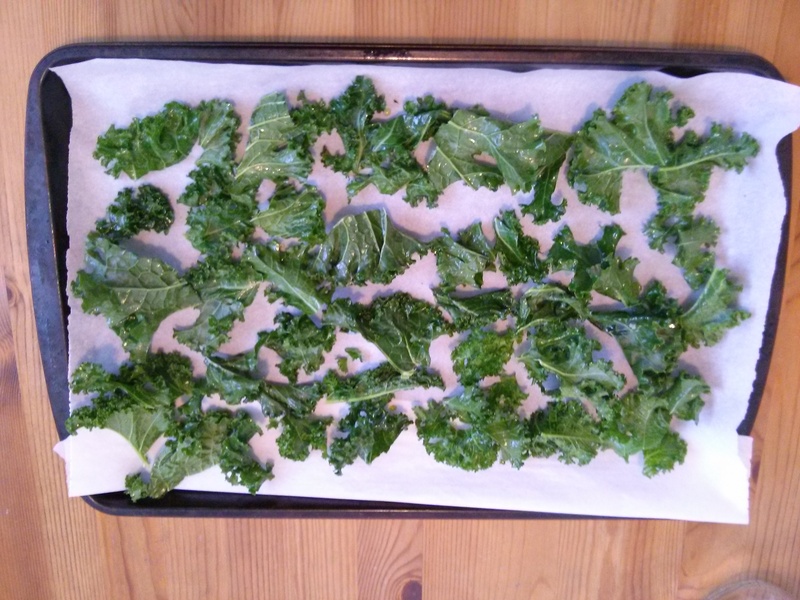 Wash kale and dry (try to remove as much water as possible). Add olive oil to kale and gently mix until evenly coated. Place on a parchment lined baking sheet in a single layer to ensure crispness. Bake in 300 degree Celsius oven for about 20 minutes (more or less depending on your oven. Check periodically to avoid burning). Remove from oven, sprinkle with salt (more or less can be added depending on preference). Add spices to vary the flavor. Cayenne pepper, chili pepper, cinnamon, etc. Spices and salt can be added before cooking. Experiment and see what works best for you.